One of the great things about the Facebook platform is that it provides you access to a large audience of more than 200 million people worldwide at a low cost. But that doesn't mean you shouldn't have a strategy in place for what you are trying to achieve. Whether you are a small local business, or even a well-known product or service, you will need to give some thought to your audience, like: who are they; how do they want to be spoken to; what messages would you want them to receive; and what are the tactics for having them interact with your message. So let's go through some of your options when it comes to social networking marketing. A Facebook presence, like a Web site, is a fundamental tactic and should be on everyone's list of must-haves for social network marketing. Similar to the dot-com land grab that happened in the late 90's, you should secure your company name on as many social sites as you can. Once you have your presence, you will need a strategy for posting updates with interesting content as frequently as you can. Be sure to get your employees involved. Encourage them to become fans, and drive the conversations to create a thriving community. The reason being, you will want Facebook users to be able to discover your Facebook page through their friends' profiles and with Facebook searches. This is the key to growing your fan base “virally.” Also keep in mind Facebook pages are indexable, so be sure to write your content with good SEO in mind. You will find that advertising on Facebook is unlike any other advertising experience you have ever had. This is mainly because of the unique ways in which you can precisely target a specific ad down to the person's profile. For example, if you want to target M.B.A. graduates who are 3-to-5 years out of school, working in Southern Connecticut, like classic rock and whose favorite food is sushi—you can do that! There are two basic types of ads—display ads and social ads—and they can be purchased like banner ads with cost-per-click (CPC) and cost-per-thousand (CPM). While they work similarly to online banner ads, do try not to use them in the same way. Most Facebook users feel more comfortable staying within the Facebook environment. So try to direct them to somewhere on your Facebook Fan page. With the new Facebook Fan page design, you can send them directly to a tab of your Fan page since each tab has a unique URL. If you are going to send your ads to a specific tab, why not send them to an application you built to engage them with your brand. Facebook applications are similar to widgets, or snippets of code, which can be embedded in any Facebook Fan page to make it more distinguished. You can think of them like interactive spaces that can allow the user to take a poll, play a short game or anything you can dream up. Creating a Facebook application has become widely popular because custom applications are not that hard or expensive to build. Some Facebook applications have seen tremendous growth because they were built to take advantage of the viral nature of Facebook. Another tactic to consider if you already have a steady stream of rich content is to use Facebook as an outpost for your content. If you already have a blog, podcast or video series, you can effectively use Facebook to attract another audience to interact with those assets. There are a variety of ways to syndicate content on your Fan page. You can use the Notes page to import blog posts to your Fan page. You can use the My Del.icio.us application to import any bookmarks you may have made in your Del.icio.us account. You can use the Simply RSS application to bring in all the RSS feeds you may have on your company Web site. You can edit your Links section and have a variety of blogs or Web sites you may want to highlight—perhaps by employees or partners of your company. And don't forget to edit your Feed settings to include the complete versions of all your blog posts so they appear not only on your Fan page but on the Feeds of all your fans. Facebook events are a great way of getting people together virtually or in person in support of your local business, brand or product. They are also a very economical way of getting the word out beyond your normal in-house marketing list by inviting the Fans of your page. Fans can also help you promote your Facebook event to their friends by sharing the event if it seems of value to a group of their friends. Don't forget to follow-up after your event; it's just good protocol to do so. If you had a very healthy debate with lots of questions, consider sending a transcript out to everyone who attended or even those that didn't. If some questions didn't get answered because of time constraints, try writing up the answers and sending them to the all attendees, too. The key point is try not to take a “set it and forget it” mentality to any social presence. While the costs of social marketing are low, don't let that fool you. The true cost is found in the creation of content. And your key to success will be the consistent participation and willingness to engage your customers you can create by using great content. Spending on in-game advertising will reach $1bn by 2014. Media & Marketing 26th May 2009. In its latest report, In-Game Advertising: Market Assessment and Forecasts to 2014, media analyst Screen Digest predicts that in the future it will become impossible for brands to ignore the audience share that video games attracts. For the report Screen Digest explored the in-games advertising industry and surveyed digital planners from GroupM’s global agency network. It was revealed that the combination of audience media habits and the unique advertising opportunities it provides will turn in-game advertising into a major growth medium. Screen Digest estimates that dynamic in-game ads will account for around 1.5% of annual spending in 2014. According to the report, areas of in-game advertising that made it attractive to brand owners and digital planners included: scalability, accountability, high levels of audience engagement and positive brand associations. Here is a great and "out of the box" viral concept. It really shows the power of Internet culture affects even the most mundane of things. However, the 3 Wolves howling at the Moon is pretty awesome. I'm definitely getting one! 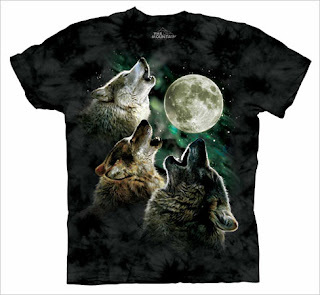 As the kind of guy who doesn’t need any particular item of apparel to get in touch with my inner animal spirit, I was skeptical when my friend Steve and his daughter Dorothy started enthusing about the Three Wolf Moon T-shirt and attendant Internet culture phenomenon. Yeah, right, I thought. But ... after I put on the T-shirt, immediately grew back all the hair I’d lost decades ago and got a seven-figure contract to star in a kung fu romantic comedy along with Maria Sharapova and Scarlett Johansson, I had to admit I was wrong. The magic, it turned out, was not so much the undeniably totemic power of the shirt, now endorsed by about 700 other similarly rapturous, if not entirely serious, reviewers, but the lesson in the inscrutable power of online culture that it provided. Like the butterfly wings creating the tornado, Mr. Govern inadvertently helped set off an almost impossible marketing bonanza and pop-culture craze: The shirt has been Amazon’s top-selling item of apparel every day since May 19, and it has morphed into one of those instant icons of Internet culture. “This is something a lot of companies spend $100 million trying to do and for us it just happened, and we embraced it early on,” said Michael McGloin, an art school dropout and creative director of the Mountain, the New Hampshire-based company that made the shirt. The Mountain has gone from selling 2 or 3 of the shirts a day to 100 an hour on Amazon. “You could not dream of getting this worldwide notoriety for a T-shirt, but it became a viral visual,” Mr. McGloin said. Mr. Govern, a student at the Rutgers School of Law in Camden, N.J., who hopes to go into intellectual property law, picked up on the shirt’s somewhat unfashionable, blue-collar appeal when he came across it on Amazon. (Note to commentators on patrol for liberal elitists — his politics are mostly conservative.) He reported that once he put the shirt on, women, apparently sensing some irresistible, brooding lone-wolf power, began flocking to him in droves. Just for wearing the shirt! He concluded: “Pros: Fits my girthy frame, has wolves on it, attracts women. A few others chimed in over the coming months until the shirt and Mr. Govern’s comment were picked up first by a site called CollegeHumor.com in early May, then by Digg.com and others. Suddenly, everyone and his dog had a similar experience to share. Even if some of it is pretty un-P.C. toward the stereotypical wolf-shirt wearer (way too many references to meth labs, Chuck Norris and trailer parks), the communal commentary is like a new shared literary art form. Mr. Govern, whose review has been rated as helpful by more than 7,000 Amazon readers, said he was not even aware of the online frenzy until an Amazon representative contacted him on Friday to see if he would talk about it. “I tell my parents and friends that it’s sad, but this is probably the most impact I’ll have on the world in my life,” he said. We all know that content is king, but some companies are going to extraordinary lengths to finding the right content for their web properties. Demand Media is one such company - now using over 2,000 freelancers to produce over 100,000 pieces of content. By EMILY STEEL, WSJ.com, May 8th 2009. There's no formula to make sure a sitcom, a magazine article or a movie will draw audiences, let alone ad dollars. Figuring out what to write or produce often comes down to a crapshoot. Demand Media thinks it has come up with a solution for that age-old dilemma. The start-up, which has raised $355 million since its inception in 2006 and is run by former MySpace Chairman Richard Rosenblatt, has spent the past three years refining a set of algorithms that it uses as a guide for mass-producing content that it publishes on its many Web properties. The result is a network of 2,000 freelancers who create 100,000 pieces of niche content a month. These range from a video about diet tips for parakeets, featured on Demand Media's instructional site eHow.com, to an article about three ways to identify triggers for spikes in blood pressure on its site Livestrong.com, a partnership with the Lance Armstrong Foundation. 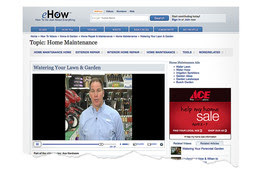 Ace Hardware's sponsorship of the Home & Garden section of eHow.com included Ace-created instructional videos. Demand Media is one of several companies, from start-ups like Associated Content and Howcast to portals like Time Warner's AOL, that are trying to develop cheaper models for creating and distributing content online. It is the 30th-largest Web property in the U.S., with 25.9 million unique visitors in March, according to comScore. Now, Demand Media's business model and its ability to attract ad dollars from major marketers is being put to the test as it starts selling the idea to Madison Avenue. Demand's system works by analyzing data from thousands of sources, ranging from search engines and online advertising networks to Web analytics firms and the million domain names Demand Media owns. The algorithm finds search phrases with three common characteristics: demand from audiences, demand from advertisers and an ability to generate traffic. The system spits out tens of thousands of title suggestions for articles and videos. These titles are sent to a reserve where the company's network of freelancers looks for available assignments. The freelancer writes the story or produces the video, then it's sent through a system to check for plagiarism and edited by a copy editor. After a separate editorial team approves the article, it's published on a Demand Media site and syndicated across other Web sites. Freelancers are paid about $20 per article or video. Demand Media has been relying on third-party ad networks to broker most of the ads on its sites and has a revenue-sharing agreement with other sites where it syndicates its content, such as Google's YouTube. The company says it has been profitable since inception, thanks to ad revenues generated on its portfolio of more than a million generic domain names. Instead of selling standard online ads, Demand Media is selling integrated sponsorships of its sites, as illustrated by a recent campaign for Ace Hardware on eHow.com, in which Ace sponsored the Home & Garden section of the site, which featured Ace-created how-to guides and videos. One holdup is that most of Demand's individual sites lack the big audiences major marketers need to warrant big ad deals, says Jean-Philippe Maheu, chief digital officer at WPP's Ogilvy North America. Other ad executives question whether Demand Media's model is polluting search results with articles from unfamiliar sources. "It seems like you are backfilling search results with content after the fact versus being an organically created, legitimate or interesting source of content beforehand," says Tim Hanlon at VivaKi Ventures, a digital marketing unit owned by Publicis Groupe. To address editorial concerns, Demand Media puts its content through a series of screenings, Mr. Rosenblatt says. Social Gaming - The Next Big Thing? The economic downturn has taken a huge chunk of revenue from traditional media players but there are some surprising winners in the new media landscape. One of the more recent trends is social gaming (online games such as Texas Holdem Poker) but will it be more than a passing fad? This article from BusinessWeek explores the topic. Zynga, the company behind Texas Hold 'Em on Facebook, and other game makers are attracting millions of users. Will the shine wear off? Gaming goes gangbusters in a downturn. In 2001, the Nasdaq was plunging and such tech mainstays as telecom, e-commerce, and enterprise computing were in a tailspin. But gaming giants Electronic Arts (ERTS) and Activision (ATVI) soared. Titles including The Sims, Grand Theft Auto, Halo, and the Madden sports series became national big-budget obsessions. In the current recession, amid declines in computing and online advertising, gaming again is on a tear. Only this time around, it takes more than producing a pricey console or a slick blockbuster in a shrink-wrapped box to win big at gaming. In a way, it takes a lot less. Some of the most impressive growth of late is in technologically stripped-down games that offer players social, communal experiences. The most talked about are Guitar Hero, Rock Band, and several interactive titles associated with Nintendo's (7974.T) Wii. And the trend isn't confined to the living room. Less talked about is a surge in social games, played with friends on smartphone platforms such as Apple's (AAPL) iPhone and on mass-market sites such as Facebook and News Corp.'s (NWS) MySpace. Social gaming is less about killer graphics and quicksilver hand-eye coordination and more about connecting with friends. The best games aren't impressive in terms of technology, though they're quite adept at harnessing media that let players interact. For games on social networking sites, that means letting far-flung friends and families share an activity, rather than just photos and wall posts. On the iPhone, games utilize sophisticated multitouch technology that lets the screen respond to more than a single touch at a time. The number of people playing social games is expected to surge to 250 million in 2009, from 50 million in 2008, by some industry estimates. During recessions, people tend to look for low-cost entertainment, often staying at home. Many social games are free; often even power users pay less than $50 a month. Despite the low costs associated with social games, many actually make money. That's where entrepreneur Mark Pincus comes in. Pincus missed the last countercyclical gaming surge. Unlike most Silicon Valley geeks, Pincus isn't into video games; and in the early part of the decade he was too busy starting a company called Tribe, an ultimately failed effort to merge local newspapers with the burgeoning social networking trend then made popular by Friendster. Pincus doesn't intend to make the same mistake twice. So he started Zynga, a site that specializes in social gaming. He's raised almost $40 million from some of the most well-regarded names in venture investing, including über-angels Reid Hoffman and Peter Thiel. Other investors include Union Square Ventures' Fred Wilson, and Kleiner Perkins Caufield & Byers. Zynga's most popular game is Texas Hold 'Em on Facebook. It gets 2 and a half million players a day. Across all networks, 45 million people per month play Zynga games. The bulk of that is on Facebook. In April, Zynga passed widget maker RockYou, owned by NetPickle (NetPickle), to become Facebook's top application maker, with 40 million monthly active users, according to Facebook. That's one-fifth of Facebook's 200 million users. And here's the shocker: Zynga is actually generating a lot of revenue, and it's profitable. The site has annual sales of about $100 million, according to several people close to the company. That's about double what many blogs have speculated. Zynga has swelled to 250 employees who get Google-like perks. The site gets some revenue from selling ads, but mostly from the 2% to 10% of users who pay $1 an hour to play premium games or buy virtual goods. Even amid the recession, revenue is rising. This recessionary disconnect was palpable during Silicon Valley's holiday party season. Zynga's fete was unlike the bare-bones holiday office lunch or the prepaid lavish affairs that came with a dour mood due to recent layoffs. Held at a club in San Francisco's North Beach district, the party featured Zynga staff in disco outfits, free drinks, and a 1970s-style band that also played at Pincus' recent wedding. So why isn't a Twitter-and-Facebook-obsessed press talking about social gaming more? You've got me. After all, Zynga isn't the only one benefiting from the surge. Playdom is the other giant of the space, reportedly generating almost $50 million in revenue. And while Zynga has big-name backing, Playdom is a much leaner and more profitable operation, according to some investors in the industry. In Pincus' view, PlayFish represents even bigger competition. Its title Pet Fish is the most successful application on Facebook, with 2.5 million daily active users, just seven months after it launched. Then there's Social Gaming Network, better known as SGN, which is funded by David Sze of Greylock Ventures, the well-respected backer of LinkedIn, Facebook, Digg, Oodle, and other closely watched Web 2.0 names. More than 10 million people have downloaded SGN's iPhone and iPod Touch games, and more than 1 million people play its games across social networks every day. As attractive as the social gaming phenomenon may be, it also carries risk. Building the bulk of your business on someone else's platform is always dicey. And games that do well are restricted to poker and mob war-style contests. Every big player has its own version of each, with little to set one apart from the others, critics say. Whether they can continue to build a catalog of titles that resonates with gamers remains to be seen. And like all things Web 2.0, social gaming may turn out to be a passing fad that people drop as soon as the next new shiny diversion comes along. There's also the risk for fraud when it comes to certain online transactions associated with social gaming, such as the sale of virtual goods. "We've found once you get into these digital-only goods and services there's massive opportunity for fraud," Pincus says. "We couldn't find a single company that could manage or solve that problem for us. We had to build the whole infrastructure in-house. We had to go out and get relationships with credit-card processing companies." What's more, social gaming is not only bringing in a new type of gamer, but also a new type of developer. While they're highly adept at tailoring games to a social platform, these developers often don't have the high-level programming skills needed to build more advanced games. The barriers to entry have effectively dropped. Many in the gaming Old Guard look down their noses on social gaming. "I've detected disdain," Pincus says. "Critics say, 'These aren't real games. These aren't real game companies. There's no technology here.'" Not surprisingly, Pincus is still hopeful. "I've also detected excitement," he says. "A lot of people come to the game industry who aren't typical developers and they can unleash their creativity on these massive platforms without the constraints of cost and time to market." Pincus can afford to shrug off the naysayers—so long as Zynga keeps making money in the fractured Web 2.0 world. Have You Called The Fail Whale? Here's an intersting point of view on whether companies need a social media specialist in-house. Pepsi is leading the way with the recent appointment of a global director of social media but there's still a common view that social media may be better outsourced to agencies, who can integrate social media marketing into their overall digital mix. Do you like to go on Facebook and Twitter all day? Do you excel at making online friends and writing pithy tweets and status updates? If so, there may be a job out there for you! While almost every company does some form of social media marketing these days, the function is usually performed by an interactive marketing group and not broken out separately. Coca-Cola, for instance, clearly believes social media is important. The company created an office of digital communications and social media led by Adam Brown, director of digital communications for Coca-Cola, last month. But that group doesn’t hire a single full-timer charged with social media marketing. The company prefers that all employees in marketing and communications do some social media marketing instead. “Our model hasn’t been to have a staff that does nothing but respond to tweets,” said Michael Donnelly, director of worldwide interactive marketing for Coke. Donnelly said he believes having full-time employees charged with such a function comes across as disingenuous. “The only way is to be genuine and real,” he said. Though Collins said Wells Fargo has been able to prove ROI on its social media efforts in many cases, Schwartz said most companies are still tentative about social media marketing. It was inevitable. Google are now offering search-based advertising that leads customers to content on Twitter. The service is running on Google and a number of social media partners and is an interesting experiment in whether Twitter Followers can be commercialised, or in fact have any real value in generating sales. NEW YORK (AdAge.com) -- Twitter may still be tweaking its own business model, but Google has found a way to use the popular microblogging service to sell ads. The search giant has started offering marketers ad units that stream their five most recent "tweets" across the Google AdSense network. The first marketer to use the ad units is Intuit, whose TurboTax brand is trying to boost its Twitter followers. 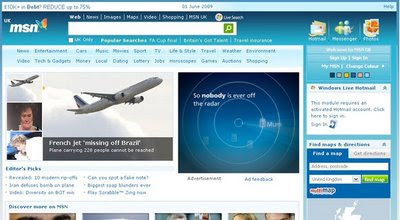 Intuit used several of the measures available for any AdSense campaign to target the ads, which are running on sites such as Bebo, Facebook, Hi5, MySpace and Alltop. "It's syndicating whatever the team that works on the TurboTax Twitter account [@turbotax] posts," said Seth Greenberg, director of marketing at Intuit. 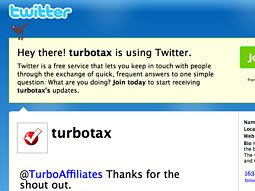 When a user clicks on an ad it takes them not to TurboTax.com but to twitter.com/turbotax. The deal with Google also expands the audience for TurboTax's Twitter presence as the ads are syndicated it across the web. After all, while Twitter is growing and had about 7 million unique visitors in February, Nielsen NetView pegs the active digital media universe as 167 million people. "We could have used this as an acquisition vehicle, but we're looking at it more like a conversational vehicle," Mr. Greenberg said. We're measuring this [in part by] how many followers can we get. Can we get to 100,000 by allowing people to know we're a resource? We're not going to hard sell you on the product, but we want people to know there are lots of people here who can help answer your questions." The ability to put real-time feeds and data into ad units has existed for years, but one of the technological limitations of this particular execution was that users can't actually click on links that are included in the "tweets," or posts by users. Right now, the feed only pulls from TurboTax's Twitter account, rather than pulling a stream of tweets that mention the brand or tax-related issues. A Google spokesman said it is doing "limited" tests with a "small number of advertisers and publishers." The concept of aggregating tweets and syndicating them on web pages isn't new, either, although it's more commonly seen on an individual's blog or other content-based websites than it is within paid-media placements. There are several widgets, blogging tools and independent third-party apps that can be placed on a website or blog to stream tweets organized by user, hashtag or keyword. Earlier this week, Glam Media launched an offering called Tinker.com, which lets advertisers buy ads around events or conversations. For examples, a retailer could buy all Twitter conversations around the Oscars, and those Twitter conversations -- along with the ad -- would show up on sites Glam Publisher Network. The TurboTax ads are running during the last two weeks of tax season -- crunch time for tax-prep marketers. According to TNS Media Intelligence, Intuit's tax brand spends more than $100 million in 10 weeks. Intuit did not disclose how much it spent on this particular buy or whether the unit was sold at a premium ad rate. TurboTax spokeswoman Colleen Gatlin mans the Twitter account, along with her public-relations team and Christine Morrison, social-marketing manager at the company. She considers them "enablers" -- they get people's questions to the folks who can provide answers. There are many reasons why the company is on Twitter, she said, but one big reason is that the microblogging site humanizes the brand. "We're raising awareness in the social community that we're here helping consumers," she said. "We make changes based on customer feedback, we're learning about the process." Mr. Greenberg said he's still trying to work out exactly what a Twitter follower is worth from a marketing point of view, such as whether people have a greater propensity to become a customer when they're following a brand on Twitter or how valuable those customers are. But he's sure one of the advantages to the tool is its network effect. "We're doing research about people who engage with us but also more interesting are their friends and followers," he said. "People can influence others in their own networks." With my recent health scare, I got to thinking - what happens to all of your Facebook, Friendster, MySpace, Blogs and other social media profiles after you've died? Do you leave a painful lasting memory or eternally happy smiling face for all your loved ones on the Internet? That's when I saw this interesting (but somewhat morbid) article about the impact of death on your online lives. NEW YORK (AP) W hen Jerald Spangenberg collapsed and died in the middle of a quest in an online game, his daughter embarked on a quest of her own: to let her father's gaming friends know that he hadn't just decided to desert them. It wasn't easy, because she didn't have her father's "World of Warcraft" password, and the game's publisher couldn't help her. Eventually, Melissa Allen Spangenberg reached her father's friends by asking around online for the "guild" he belonged to. One of them, Chuck Pagoria in Morgantown, Kentucky, heard about Spangenberg's death three weeks later. Pagoria had put his absence down to an argument among the gamers that night. "I figured he probably just needed some time to cool off," Pagoria said. "I was blown away when I heard the reason that he hadn't been back. Nobody had any way of finding this out." With online social networks becoming ever more important in our lives, they're also becoming an important element in our deaths. Spangenberg, who died suddenly from an abdominal aneurysm at 57, was unprepared, but others are leaving detailed instructions. There's even a tiny industry that has emerged to help people wrap up their online contacts after their deaths. When Robert Bryant's father died last year, he left his son a USB flash drive in a drawer in his home office in Lawton, Oklahoma. The drive contained a list of contacts for his son to notify, including the administrator of an online group he had been in. "It was creepy because I was telling all these people that my dad was dead," Bryant said. "It did help me out quite a bit, though, because it allowed me to clear up a lot of that stuff and I had time to help my mom with whatever she needed." David Eagleman, a neuroscientist at the Baylor College of Medicine in Houston, has had plenty of time to think about the issue. He set up a site called Deathswitch, where people can leave e-mails that will be sent out automatically if they don't check in at intervals they specify. For $20 per year, members can create up to 30 e-mails with attachments like video files. It's not really a profit-making venture, and Eagleman isn't sure about how many members it has — "probably close to a thousand." Nor does he know what's in the e-mails that have been created. Until they're sent out, they're encrypted. If Deathswitch sounds morbid, there's an alternative site: Slightly Morbid. It also sends e-mails when a member dies, but doesn't rely on them logging in periodically while they're alive. Instead, members have to give trusted friends or family the information needed to log in to the site and start the notification process if something should happen. The site was created by Mike and Pamela Potter in Colorado Springs, Colorado. They also run a business that makes software for online games. Pamela said they realized the need for a service like this when one of their online friends, who had volunteered a lot of time helping their customers on a Web message board, suddenly disappeared. He wasn't dead: Three months later, he came back from his summer vacation, which he'd spent without Internet access. By then, the Potters had already started Slightlymorbid.com. A third site with a similar concept plans to launch in April. Legacy Locker will charge $30 per year. It will require a copy of a death certificate before releasing information. Peter Vogel, in Tampa, Florida, was never able to reach all of his stepson Nathan's online friends after the boy died at age 13 during an epileptic seizure. A few years earlier, someone had hacked into one of the boy's accounts, so Vogel, a computer administrator, taught Nathan to choose passwords that couldn't be easily guessed. He also taught the boy not to write passwords down, so Nathan left no trail to follow. Vogel has a trusted friend who knows all his important login information. As he points out, having access to a person's e-mail account is the most important thing, because many Web-site passwords can be retrieved through e-mail. Vogel joked that he hoped the only reason his friend would be called on to use his access within "the next hundred years or so" would be if Vogel forgets his own passwords. But, he said, "as Nathan has proven, anything can happen any time, even if you're only 13." There are few marketing successes brands can point to in the social media space. But Coke seem to always get it right - even if they're don't fully understand it themselves. The second most popular fan page on Facebook is a Coca-Cola page (the most popular is Barack Obama) created by a couple of devoted Coke fans. This article from Advertising Age details how both the fans and the Coca-Cola Company were taken by surprise by their success. And the page grew. And grew. There are 253 pages on Facebook devoted to Coca-Cola, but for some reason, Mr. Sorg's page -- which he runs with his friend Michael Jedrzejewski, a writer -- took off. The guys weren't sure why theirs ended up with millions of fans -- Facebook fan pages, at least last year, were relatively static, and the guys said they had been pretty inactive on it as they got busy during the winter holidays. And most people can't actually do that much with branded page -- unless a brand is putting dollars behind it. Which Coke didn't. Coca-Cola still remains perplexed over why Messrs. Sorg and Jedrzejewski's page took off. "We've discussed a dozen hypotheses about why it took off," said Michael Donnelly, director of worldwide interactive marketing at Coca-Cola Co. One theory the company keeps coming back to, he said, was the quality of the photo -- a crisp, high-resolution image of a Coke can covered with a thin layer of condensation. "For us as marketers, luckily it was exactly right -- the can we had in the marketplace. ... It grabs you." He said another theory is that Messrs. Sorg and Jedrzejewski had very active, expressive "social graphs," i.e., their network of Facebook friends. But "we can't measure that," he said. As the page picked up fans, it also racked up spam and obscene comments -- issues that can plague many large pages on the social network. In November, Facebook decided to start enforcing a policy that says anyone creating a branded Facebook "page" must be authorized by or associated with the brand. Independent Facebook users could still create homages to brands, but they must live as a "group" or fan club. "The problem was they had created a page, not a group," said Mr. Donnelly. Facebook made the decision to either close the page or let Coca-Cola take it over. Coca-Cola instead proposed an alternative: Let the creators keep the page but share it with a few of Coca-Cola's senior interactive folks. "We threw a variable to Facebook and said we're interested, but we'd rather walk away from it than have it be perceived that we caused this action," Mr. Donnelly said. Over the December holidays, he got in touch with Messrs. Sorg and Jedrzejewski to explain to them that this was a Facebook-driven change, and asked if they'd want to join him in administering it. Now normally when a giant multinational company calls a consumer about something the consumer has created in that company's brand name or image, it's not a good sign. And initially Mr. Jedrzejewski said he was worried about it. "Everyone has this vision that if something like this happens, the big company will send you off to Guantanamo," he said. "This was exactly the opposite." Coke instead flew the guys down to Atlanta for a few days of meetings, a tour of the World of Coke museum and a visit to the company's legendary archives. It was a friendly, not heavy-handed approach, Mr. Jedrzejewski said. "We talked openly about ideas, the future of the fan page," he said. Coke's actions in sharing the page are indicative of not only the lessons the beverage giant has learned in the social-media space but also proof that big brands can tread gracefully in social media. The company has come a long way. Its initial reaction to a Diet Coke-Mentos viral video sensation in 2006 was that the stunt didn't fit the brand's personality -- after all, people are meant to drink Diet Coke, not use it to make geysers. Now the company appears to be more at ease with its consumers creating content on its behalf -- and it's largely eschewed a destination-centric philosophy as it has recognized that its expressive fans are everywhere. Mr. Donnelly recounts how in the early days of the web, big marketers would define success by how much traffic came to their websites -- and they've only recently become comfortable with the fact they can deliver a message through gaming, rich video and other places across the web. The same thing happened in Second Life, when marketers busily built islands, or destinations, within the virtual world. And it's a natural tendency in social networking. "This page is a fan page and happens to be the biggest one, but we recognize that when you do a search you see 253," he said. And when it comes to communities, they recognize they need to ask advice, counsel and permission before engaging. "We don't want to be a big brand there doing big-brand advertising." Here's a great article by Woody Lewis on Mashable.com that details how social media is being used to try and save the newspaper industry. Woody Lewis is a Social Media Strategist and Web Architect. He authors a blog at woodylewis.com about social media strategy for newspapers. These days, everyone knows that one of the hottest stories any newspaper can cover is that of its own demise. The collapse of print advertising and the downturn in sales, at the news stand and through subscriptions, has led to a frantic search for new ways to monetize content that’s often available online for free. Social media gives any business an interactive channel to communicate with its current and future customers. For newspapers, that channel can increase the chances of survival in a market where commoditized information has diminished the value of individual brands. Here are ten ways newspapers are using social media to save the industry. With more than 280,000 followers, the New York Times’ main Twitter feed dwarfs the Wall Street Journal (19,000+), the Washington Post (4,800+), and the Chicago Tribune (5,200+). Many metropolitan and small-town dailies have followed suit, creating a TwitterTwitter reviews handle as an extension of their brand, but the Times, like other large dailies, has gone one step further, establishing channels for Books, Arts and Entertainment, and other sections. These are sub-channels that support personalized interaction, a point of interest for advertisers. In November, 2008, Gannett Co., publisher of 85 daily newspapers, acquired Ripple6, Inc., maker of a social networking platform that links marketers to end users. By investing in a company that has already helped Procter & Gamble with its social media initiatives, Gannett will be better able to collaborate with its advertisers. Look for more acquisitions, or partnerships, as legacy publishers broaden their online portfolios. The German newspaper Frankfurter Allgemeine Zeitung (FAZ) introduced a thematic website last month to promote the translation of The Kindly Ones, a controversial novel that has generated much publicity in Europe, and more recently the U.S. By posting streaming video and a downloadable mp3 of a popular actor reading chapters from the book, and then creating daily discussion forums around related topics, FAZ generated a significant increase in traffic to its Web site, which had seriously lagged those of its competitors. In 2007, the Cincinnati Enquirer created CaptureCincinnati.com, a photo-sharing site where over a thousand local photographers uploaded nearly 12,000 images. The best shots were featured in Capture Cincinnati, a coffee table photo book that included a DVD, selling at a retail price of $39.95. Last year, the numbers continued to improve, and the Enquirer expects strong sales of the 2008 edition as well. Marketers might call this bundling products, but whatever you call it, the Enquirer probably won’t argue. The Toronto Globe and Mail uses Cover It Live, a live-blogging/discussion tool that provides interactive coverage of breaking news and live events such as conferences and hearings. Real-time comments, audio and video postings, and polls are among the types of content that can be recorded and then embedded in the story, like this piece on a subway shooting in January. While British startup Yoosk bills itself as an “interactive news magazine,” it represents the type of outsourced service many newspapers may wind up using as their own resources dwindle. Yoosk allows its users to put a question to politicians and celebrities, to comment on the publicly viewable answers, and to submit their own ideas for interview features. Its founders hope to collaborate with established news sites, including newspapers willing to outsource parts of their magazine sections. Denver-based MediaNews Group, publisher of such major dailies as the Denver Post and Oakland Tribune, has announced plans to test a “customized news delivery service called ‘I-News’ or ‘Individuated News” this summer with the LA Daily News. This service would allow subscribers to choose from different categories, including news from other parts of the country. Blending the offerings of regional newspapers into a separate platform may help more of them survive. The St. Louis Post-Dispatch has launched MySTLtoday, a branded community featuring areas such as user-created groups, user-posted content, and special interest sections like St. Louis’ BestBridal. Excerpts from shared stories are printed each week in the legacy paper. This might seem old-school, but it strengthens a traditional middle American brand, and it promotes more interaction, which helps advertisers pinpoint their targets. The New York Times has taken the lead in an area sure to attract other organizations. By publishing application programming interfaces, or APIs, for third-party software developers, the Times Developer Network has encouraged the creation of a new class of social media applications. Developers have already produced mashups that combine Times content with other resources. Advertisers should see new opportunities to embed messages tailored to the end user, and the Times may partner with those developers it deems worthy, avoiding the incremental cost of creating new applications internally. UK’s The Guardian has announced similar plans to open up its content with Open Platform. Unfortunately, this isn’t the most agreeable method for many, but social media applied to a smaller, virtual organization might be the way of the future. As reported here last week, the Seattle Post-Intelligencer may move to an online-only version of its daily newspaper. This is the ultimate way to save a paper through social media: make the Web its only channel of distribution, and leverage the history of the brand. Loyalty won’t be hard to track, and the test of that loyalty will be the price point established by subscriptions, for individual sections or the entire publication. The argument “would you save this paper for the price of a latte?” becomes very cogent, especially in Seattle. The word “newspaper” will take on a different meaning, like “record album,” or “TV show.” It won’t go away, and it will continue to describe some of the most hallowed brand names in the world. Social media will play a big part in that transformation. As the dynamics of our society change, as institutions go public or private, or disappear entirely, the need to report these events in a responsible manner will be even more critical. Social journalism is more than a buzzword, it’s the way social media will save the industry. I'm not sure if the data is really accurate, but there's no denying there's a huge trend towards people using social media more often. Social media is becoming an integrated part of many's people's lives but whether it can overtake email as the most popular activity in the digital world? I'm not so sure. It's a great thought provoking piece of research from Nielsen though. Check out this article by Brian Morrissey at AdWeek. NEW YORK Social networking has overtaken e-mail as the most popular Internet activity, according to a new study released by Nielsen. Active reach in what Nielsen defines as "member communities" now exceeds e-mail participation by 67 percent to 65 percent. What's more, the reach of social networking and blogging venues is growing at twice the rate of other large drivers of Internet use such as portals, e-mail and search. Nielsen, which is the parent company of Adweek, concluded that the shift to social activity online would have profound effects on marketers and publishers. For publishers, social networks are eating into time spent with other online activities, according to Nielsen. For advertisers, the phenomenon at this stage represents mostly unfulfilled promise for a deeper connection with consumers who are more difficult to reach in social environments. The rise of social media coincides with the decline of portals. Social networking appears to be snatching away users' online time formerly spent with e-mail, traditionally a large draw to portals. Such fragmentation is decreasing portals' importance to advertisers. In a separate report, top digital shop Razorfish said its spending at portals declined from 24 percent in 2006 to 16 percent in 2008. Nielsen found that two-thirds of the world's Internet users visited a social networking site in 2008. All told, social media now accounts for almost 10 percent of Internet time. Facebook is leading the pack worldwide, with monthly visits by three out of 10 Internet users in nine global markets, per Nielsen. The growth in social media is not confined to the U.S. Nielsen charted comparable or higher growth for Australia, Spain, Italy and the United Kingdom. Yet for now, user growth at social sites is outpacing advertising increases, per Nielsen. This will likely change, Nielsen said, as models shift to value engagement over exposure. "As the online industry matures and the value of online real estate is increasingly measured by time spent, rather than pages viewed, a significant shift in advertising revenue from 'traditional' online media towards social media could be realized -- if the successful ad model can be found," the report stated. The search for a workable ad model is even more urgent now that social media has broken out of the youth demographic, Nielsen found. For example, Facebook's greatest growth has come from 35-49-year-olds, and it has added twice as many 50-64-year-olds as those under 18. Yet advertising and social media to date have mixed like oil and water. Part of that is a function of social media's communications role -- advertising has typically performed poorly in chat and e-mail. The larger challenge for advertising is to move from an interruptive role to joining conversations. That means advertisers need to find ways to add value to users' experiences, Nielsen found. "Whatever the successful ad model turns out to be, the messaging will have to be authentic and humble, and built on the principle of two-way conversation -- not a push model -- that adds value to the consumer," the report said. While social media and search marketing are the current favourites in the digital media industry, email marketing is that one area that is often overlooked but that consistently delivers great ROI. This article from Sarah Lacy at Business Week talks about (the slightly unsexy) email marketing and it's ability to generate sales. We San Franciscans think New York isn't quite as Web savvy are we are. No offense to my BusinessWeek overlords and Silicon Alley pals, but we're convinced that the smartest, most innovative ideas for using the Internet emanate from this coast, not yours. Heard of Google (GOOG), anyone? Here's the shocker. As the ad recession deepens, it's a handful of Silicon Alley Web companies that are getting one thing right that many Bay Area companies abandoned years ago: the e-mail newsletter. That's right. The East Coast is leading the way in showing how to make money from those electronic digests of a site's content, delivered regularly to your already cluttered in-box. The most noted success story is DailyCandy.com, purchased by Comcast (CMCSA) just before all hell broke loose in the economy last fall. Reportedly, it fetched $125 million. Not exactly a home run in Web terms, but a big win nonetheless. DailyCandy.com has done well enough that its investors at Pilot Group Ventures in Boston have backed several companies that also use e-mail newsletters, among them the newsletter-for-dudes-who-read-newsletters Thrillist, which is launching in its 10th city, Philadelphia, this month. The company says it is profitable on annual sales of $5 million to $10 million. That's saying a lot in this economy. Wake up and smell the CPMs, Silicon Valley. Of course, we're all waiting on companies like YouTube, Facebook, Slide,, and Twitter to come up with the next great Google-esque plan to make money from social media. Meantime, why not reap some low-hanging fruit with a newsletter? No, it's not likely to make your company a billion-dollar Web powerhouse. But it just might help you eke a few more months—if not quarters—from your dwindling venture capital dollars. Ted Rheingold, founder and chief executive officer of Dogster, is one Bay Area denizen who's gotten the newsletter religion. But Rheingold's attempts to spread its gospel don't make much headway in Silicon Valley. Rheingold is particularly critical of the increasingly popular tendency for Web 2.0 companies to let ad network middlemen handle advertising sales. In 2003, when his social network for dog lovers become more business than pet—I couldn't resist—project, Rheingold weighed all the options for generating revenue, from placing ads on his site through Google's AdSense program to working with an ad network, from building his own sales force to distributing a newsletter. He discovered that AdSense would yield about 28¢ per 1,000 times the ad is seen (for a CPM of 28¢, in industry parlance). Glam Media, one of the highest-paying ad networks, would deliver a floor CPM of $2. But that was still leaving a good amount of revenue on the table, especially considering an ad network takes half the gross. In addition to letting Federated Media sell some inventory, Dogster built its own Web sales force, setting CPMs at $8 to $20. But even that pales compared to what he charges advertisers per 1,000 views of an ad on his e-mail newsletter: a whopping $20 to $40. Slowly, the logic is catching on. Just last month, Yelp, another company that opted to build its own sales staff instead of hiring an ad network, landed its first national ad campaign for its "Weekly Yelp" newsletter. This year, newsletters are going to be a bigger focus. Yelp Chief Executive Jeremy Stoppelman won't disclose figures. He coyly told me, "It's a good rate, but not highway robbery." It may sound odd that space on a low-tech newsletter could be so desirable in an age of mass-market blogs, when young people increasingly rely on instant messaging, texts, and such sites as Twitter and Facebook instead of e-mail. But remember that signing up for and opening an e-mail newsletter is a much bigger commitment than passively clicking on a link that takes you to a blog post. Publishers can see how many people open an e-mail, how long they read it, and how many friends they forward it to. Advertisers eat up that kind of engagement, because it's different, tangible, and more likely to result in an action such as making a purchase. Dany Levy started DailyCandy as an e-mail newsletter in 2000 and has resisted the allure of blogging ever since. A longtime print journalist, she was just doing what she knew—and that was media, not tech. "People have a paper delivered to their door every morning," she says. "The push model just made a lot of sense to me. You didn't have to remember to go anywhere; it was just in your in-box." Daily Candy expanded to more than 2.5 million subscriptions while spending little on marketing. Most of the growth came from readers simply forwarding the newsletter to friends. The company has been profitable since the third quarter of 2001, Levy says. Of course, that meant the content had to be just right, akin to light, tasty 150-word morsels, as the newsletter's name implies. "You can't just take the simple rules of journalism and apply them to e-mail; it's a different animal," Levy says. "It sounds corny but whenever I hire a new editor I tell them, 'It's a privilege to be in someone's e-mail box.'" Not respecting that privilege is exactly why e-mail newsletters lost favor in the Internet bubble of the late 1990s. Nearly every e-commerce company automatically signed up shoppers to receive e-mail newsletters bursting with promotions and specials. This quickly got spammy and annoying and users en masse removed their names from newsletter lists. The aim in those early newsletters was selling people something, not entertaining them. A high percentage of recipients open their DailyCandy newsletter, Levy says, because getting it compares to the difference between getting "a bill and a letter." Web companies considering newsletters also need to respect the difference between a telemarketer call and a treat. Give the user something of value, like news of local events, restaurant openings, and highlighted reviews, as in the case of The Weekly Yelp. And don't send it too often, either. As a result, recipients will open the e-mail, forward it, and maybe even make a purchase. The advertising will take care of itself. In other words, Silicon Valley Web companies looking for some near-term revenues might do well to act more like New York media companies for a change. That's a statement that may send shivers down the spines of engineering-centric startups, but isn't it better than closing up shop? There's a lot of buzz about Twitter at the moment. The Twitter discussion has also intersected with the ongoing focus on the changing role of advertising and media agencies. So are agencies really getting it? This great article from Phil Johnson at Advertising Age really focuses in on how the rapidly changing digital media landscape is fundamentally changing agencies. Will Twitter Disrupt Your Business ... or Enhance It? There's a great business book called The Innovator's Dilemma, by Clayton Christensen. The basic idea is that every once in a while a technology comes along that disrupts the established order. It's cheaper and better than the current technologies and will eventually topple the established market leaders. Think hard drives, computers, and semiconductors. The dilemma for established companies is that to succeed in the face of a disruptive technology, they will have to let go of the products and business models that made them successful so that they can start to develop the next generation of innovative products. They may even have to move away from their current business before customers are ready to adopt the new technology. Today, agencies face their own disruptive technology in the form of Web 2.0 tools and social media. To pick one specific example, social networks such as Twitter can improve on a host of agency functions and often at a fraction of the cost. To be clear, Twitter won't displace all the functions of a marketing agency. Companies will continue to need brand identities, lead-generation programs and creative ideas that connect with people emotionally. Twitter, however, can serve as a marketing platform that allows companies to build brands, manage customer relationships, and share content. It's simple, it's powerful and it's inexpensive. Does it have the potential to redefine the value and purpose of the modern marketing agency? They make it easier and faster to monitor what customers think about your product and company. Tip: Use the Twitter search feature to see what people think about a client's brand. Twitter gives you the ability to move beyond targeted messages to real conversations. One-to-one marketing celebrated the ability to tailor a message or an offer to an individual. Twitter lets you actually interact with people. Through social networks, brand identity has broken free of the agency-driven campaign. Companies such as Zappos and Amazon have built their brands through the principles of community with very limited advertising. We're well beyond arguing whether these changes are real. You can see the evidence stack up every day in The New York Times and BusinessWeek. Fox News profiled Ford's head of social media, Scott Monty. There's not enough time in the day to read about the new-business applications for Twitter on Twitter and related blogs. If you're going to try, Pistachio is a great place to start, as is Web Strategy by Jeremiah. The big question is how should agencies respond to Twitter as a disruptive technology? Do you give up short-term revenue from traditional marketing services that may be obsolete in several years, so that you can reinvent your business model? Do you hang on to your current business model as long as possible and run the risk of falling behind? I bet that most of us believe that we can create a hybrid model where we continue to practice traditional marketing and introduce select social-media components to our programs. Personally, I don't think that goes far enough. While we're taking half steps, new breeds of social-media agencies such as The Advance Guard are springing up to capitalize on disruptive technologies. My bet is that advertising agencies, even those with strong digital capabilities, will have to find a way to put social media at the core of their business model, because in time it will displace many of the marketing tools we use today. The bright light for agencies is that they can use this time of transition to make their organizations a proof-of-concept for social networks. They should be able to demonstrate how they have developed their own brand on Twitter and other prominent platforms like Flickr, YouTube and SlideShare. That they have created multiple touch-points for sharing content. That they have built a network that connects all their important audiences. And that they are accessible and open to honest conversation with all the people who want to engage. When this happens, one side benefit is that agencies will be more transparent to each other. Already I'm engaged in conversations with competitors on Twitter that I might not otherwise have had. Much of the content that we want to share with our clients and prospects is also accessible to our competition. I can tell you that the sky has not fallen. If anything, it has made us work a little harder to keep company with some of the great agencies that we admire. Here's a fantastic article that deals with that tricky Twitter question - should I reciprocate and follow you, if you're following me? Atherton Bartelby clearly gets it right in his "Top 10 Reasons I Will Not Follow You in Return on Twitter" posting. It's good reading! Atherton Bartelby is a Brooklyn-based graphic designer, art director, writer, blogger, and photographer. He authors a blog at Curious Affairs. I’ll admit it: I had a MySpace profile…until I deleted it a year ago when it became obvious that only teenagers and musicians were still using it. I also had a GeoCities/AngelFire “page”…for my very first website when I first got on the Internet in 1994. If the Twitter user in question happens to be an actual teenager, or musician whose MySpace presence truly works for them, then fine. But I tend to pass over those users whose proffered web presence is, well, clearly doing it wrong. It doesn’t take much these days to establish a web presence that seems genuine and thoughtful, and appears to intend to attract and build an online community based on the content it provides. AngelFire pages simply don’t communicate that. …or, worse, one update that includes a shamefully ill-constructed mention of Jason Calacanis. …or “social media expert” and you have very few and/or insubstantial updates. So, you have decided to use Twitter as an online marketing tool in order to sell your amazing service and/or product, and you make this glaringly obvious. I find this fabulous, because not only must this tactic be working for you, but it also allows me to immediately decide whether or not I want to follow you in return. Since I do not use Twitter in this manner, I rarely follow any of these users in return, unless said product or service genuinely piques my interest/desire to support it. I’ve several Twitter friends who employ the automatic direct message tool upon any new follows, but their messages are carefully crafted and, well, thoughtful, and go far beyond the garden variety “click my junk” automatic direct message. As I am an intelligent, savvy, thinking Twitter user, I am more than capable of reading all about how you can help me get to a 4-hour work week by consulting your Twitter stream, Twitter background, or website. An impersonal automatic direct message from you along these lines does not impress me, it insults my intelligence. For me, Twitter is not a shallow popularity contest, it is about forging interesting connections and conversations with other people. My Twitter followers are far more to me than a simple follower count: they are friends, they are colleagues, they are collaborators, they are peers, and they are sources. To follow someone in return whose only intent is clearly to acquire more followers would be to devalue the esteem with which I hold my other followers. …with your followers/random Twitter users/really anyone. I am all for intelligent debate on any topic, and I’ve been lucky so far in meeting Twitter followers who are still able to politely debate about a variety of passionate topics without constant and vitriolic argumentation. If your Twitter stream is filled with nothing but mean-spirited opinions and argumentation that only advance your own beliefs and allow no consideration of others’ views, then my Twitter stream is definitely not for you. Probably the most important reason why I will not return your follow, though, is if it is glaringly obvious that you do not engage your Twitter followers. Here I suppose I need to make a distinction between those Twitter users who use Twitter to broadcast their content, as opposed to everyone else; these broadcasters, in my experience, are generally the ones who are followed, not those who are following. Obviously, engaging their followers is not a priority. Twitter is a major platform in social networking and social media, and they aren’t called “social” networking and “social” media for nothing. There are other people out there, and if you are not engaging or interacting with those users who take the time to follow you for whatever reason, that is a huge follow fail in my book. 3. Engage with your network. Genuine engagement with your network of followers will ultimately ensure that your mobile number is retained, and not “lost,” at the end of that fabulous party, and it will ensure that you don’t (too often) commit any serious follow fails. One of most interesting aspects of search marketing is blog search (engines that specifically focus on searching blogs). This is quite different to the usual Google, Yahoo!, Baidu and MSN search (although blog postings still appear in these search enginess) because there are services that specifically search blogs (and only blogs). The most widely known service is Technorati, but there are a number of excellent services now available. So next time you're looking for that obscure bit of industry knowledge or expert advice, why not jump onto FriendFeed or IceRocket instead of Google? What blog search engine should you use? That depends on your needs. In order to join a conversation, you've got to be able to find it first. Three years ago "blog search" was expected to be a booming industry, startups left and right developed different technologies and more than a few raised millions of dollars to help users search the part of the web made up of blogs. These days no one thinks consumer-market blog search is a serious business, but many of us still have a need to limit searches to blogs. What should we do? ReadWriteWeb offers some recommendations and an assessment of the state of the industry below. Different circumstances call for different search engines. We've made a chart below illustrating our different recommendations to fill different needs. When, for example, we're looking to see if anyone else has written about a breaking news story yet - we use Google Blogsearch because it's the fastest. When we're putting a live search feed on a public web page, though, we use Technorati and crank up the spam-control it offers. Many businesses use profesional blog tracking services for some of their search needs, but we're not convinced those services are as useful as grabbing some of these worn old tools and doing it yourself. Technorati is the old stand-by, the blog search engine that the smartest blog lovers used to use. These days it's a sad shadow of what it used to be. The company leadership is focused on building an advertising network and search features have been shed like there's no tomorrow. The company's developers say that features will be returning, just in a more accessible form, but we're not holding our breath. The service is slow, misses a lot of search results (perhaps in the name of spam prevention) and is so loaded down with cruft and extraneous page loads that it makes us want to scream. That said, the fundamental value proposition of Technorati remains - it counts inbound links to every blog it has indexed and it will let you sort by that metric of "authority." More advanced RSS-heads will appreciate the fact that Technorati delivers "authority" numbers in its RSS feeds and those numbers can be used to fine tune spam filtering in Yahoo Pipes. Google Blogsearch is the fastest in the industry but has gone almost untouched since the day it launched, except for a recent dabble with memetracking on the front page. Google Blogsearch spam control is not good and recently the search engine started bringing back search results from places like blog sidebars. It thinks that content is new, too, every time a new blog post (the content we really care about) is published. It's painful to look at Google Blogsearch results pages, but if you've got a need for speed or want to make use of the relative heft of the Google search input box for things like complex queries - then it's a good option. IceRocket is Mark Cuban's baby and has improved more in recent years than anyone else on this list. It's quite a sophisticated tool for searching blogs. It's got trend analysis, author awareness and a number of other cool features. Unfortunately it only lets you organize search results by data and sometimes other needs arise. IceRocket also misses some search results that even Technorati catches, though it catches some that Technorati misses as well. If there's a downside here, it's that Ask does index a fair number of feeds that aren't really blogs. And it doesn't do anything else that's particularly fabulous. None the less, we find ourselves going back to it every day. FriendFeed is a lot of things, but it's also a blog search engine of sorts. It's a cross-network, real time social site originally built by a team of ex-Google employees. It's pretty awesome and once you've got an account there you can search blog posts, Twitter messages, YouTube videos, SlideShare powerpoint presentations and much more. The down side is of course, it only lets you search the content that other users have synced with their FriendFeed account. That content has a whole lot of conversation going on around it though! Several members of the ReadWriteWeb team use the newly launched FriendDeck to do real-time tracking of FriendFeed. You can meet our whole team on FriendFeed here or join us in the RWW room (open to anyone) here. That's How We See it - What's Blog Search Like for You These Days? We'd love to hear about your favorite blog search tools these days. What do you use and in what circumstances do you use it? Is blog search itself old news in a new era of real-time microblogging? We welcome other perspectives on this field that may have lost some of its luster but remains useful and important several years after it was so hyped.